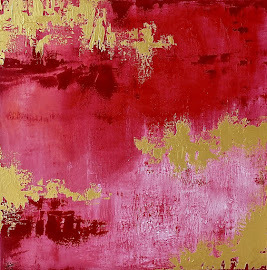 This piece will be available at the Dallas Go Red Luncheon on February 22nd! or rejoice that thorn bushes have roses. But, because of ongoing cardiac medical research, I was able to have the opportunity to play with my little boy again without fear of passing out from an abnormally fast heart rate or fear of going into cardiac arrest. The procedure and recovery were tough. I was in the ICU for several days. I had a tube sticking out of my chest to help drain the fluid that was collecting around my heart. I was in extreme pain. The surgery was considered successful, but my heart still has issues and requires frequent monitoring. My fight is not over. Although I have endured many cuts and scrapes from sharp “thorns,” I choose to rejoice because of the roses among the thorns. Family and friends are my roses. I also have loved ones who suffer with or have died due to heart disease. I have sincere respect for others facing their own thorns. Heart disease may be a silent killer, but its effects are not silent. Many of you may have a loved one with heart disease, have lost a loved one from heart disease, or has a friend who is a heart disease survivor, or... you may be a survivor yourself. 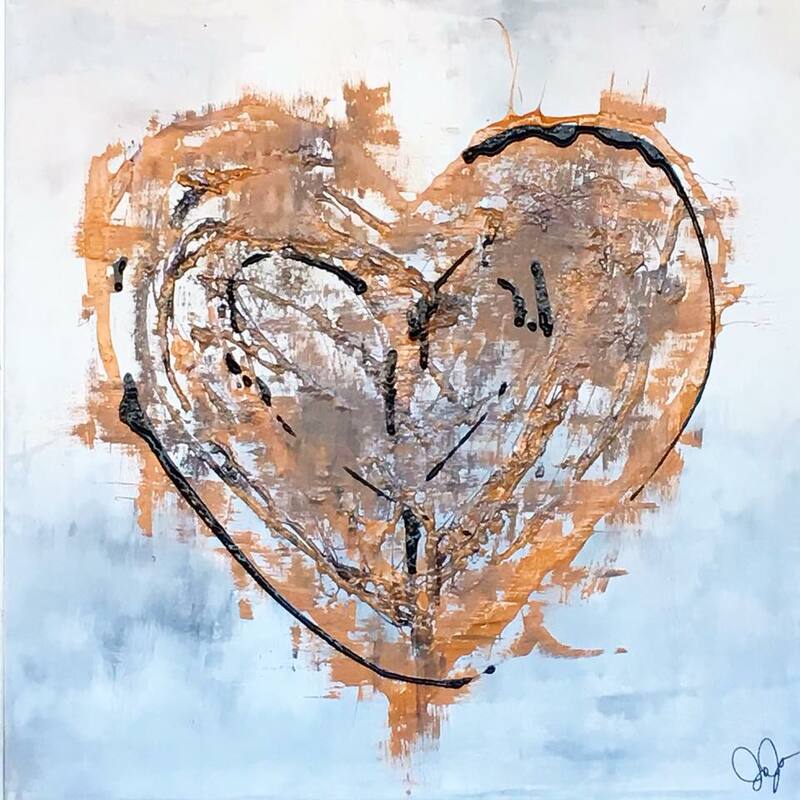 I painted “Rising Up to the Challenge of Our Rival” as a tribute to my father, Carmelino, who is also a heart disease survivor. He has had heart failure for almost 10 years. During that time, he has overcome open heart surgery to replace his aortic valve plus many other procedures to aide in sustaining his life. 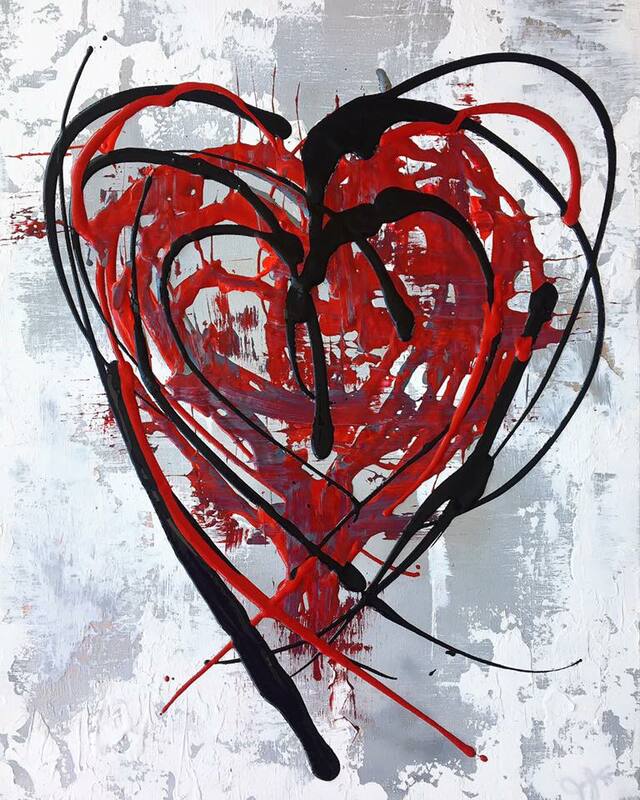 I painted this piece in honor of him and to all those affected with and by heart disease. Thank you for your support in helping to raise funds for lifesaving heart research. It means A LOT! When your favorite client says, "I just want a big gold heart." This piece will be available in the silent auction. 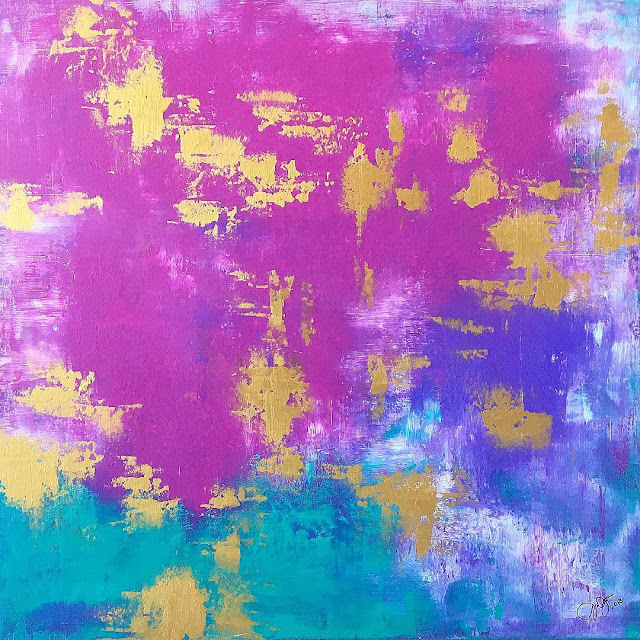 "Summer Colors - An Art Auction, now in its tenth year, was an idea born out of passion for both art and the patients of Texas Scottish Rite Hospital for Children (TSRHC). Founded in 2009 by Jenny and Loren Koziol and Jill and Dupree Scovell, this art auction raises awareness about the hospital, while also exposing the Dallas community to up and coming local artists. To date, Summer Colors - An Art Auction has raised more than $106,000 for the hospital. 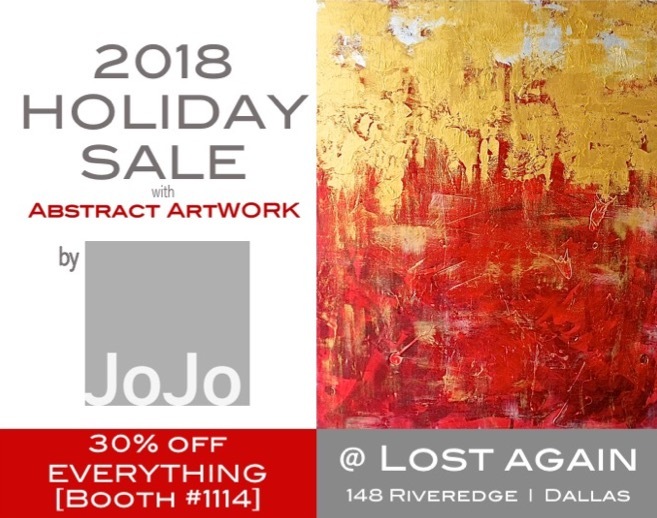 Each year, local artists donate original pieces of art to be featured in the auction, with all the proceeds benefiting Scottish Rite Hospital."